Little Rock Cosmetic Surgery » Blog » Breast Augmentation 101: What Happens During a Breast Augmentation Consult? So, you’ve decided you want to have a breast augmentation. Congratulations! As one of the most popular cosmetic surgery procedures, breast augmentation has helped millions of women feel more confident. While this is an exciting time, it’s normal to feel a little overwhelmed by information and feelings regarding surgery. What surgeon should you choose? Are saline or silicone implants right for you? How much time will you have to take off of work? Is this the right choice? 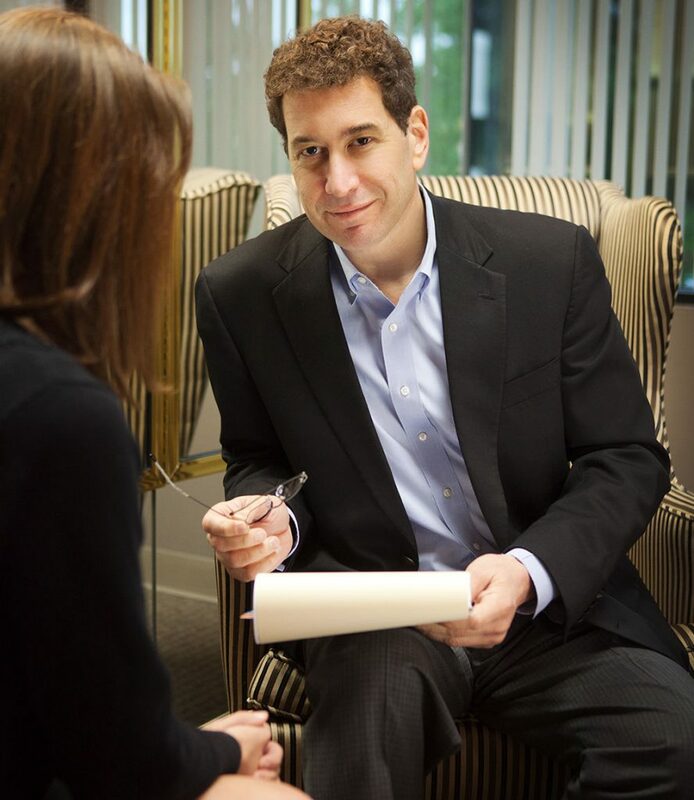 As a board certified cosmetic surgeon in Little Rock, I help patients like you every day and can guarantee that everything you’re feeling, questioning, or curious about has run through the minds of many patients. So, take a deep breath, grab your favorite notebook, and remind yourself why you’re starting this journey and what you hope to achieve. Second only to your consideration of making a change, your breast augmentation consultation is one of the most important steps. You get to know your potential surgeon, discover if they’re the right match for you, and decide if you want to move forward. With that in mind, it’s natural to feel nervous or unsure. Understanding what will happen during your breast augmentation consultation before arriving can help you feel a lot more confident going into it, as well as make the most of your time. Here’s a primer on what to expect and how to prepare ahead for your cosmetic surgery consult. While consultations may be routine for me, I understand how vulnerable my patients feel—discussing insecurities with a virtual stranger often feels unnatural. It can help to come prepared with a list of questions, examples of your goals, and your personal calendar so we can go over scheduling and recovery timeframes. The first rule in dressing for a breast augmentation consultation is to choose an outfit in which you feel totally comfortable. It also helps to choose an outfit with a separate top and bottom vs a dress or jumpsuit. I also tell my patients to prepare themselves emotionally. While your surgeon should be reassuring and help you feel comfortable, if you feel especially nervous at the thought of discussing your breast concerns with a doctor, consider rehearsing your questions ahead of time with a friend. What should I wear to a breast augmentation consult? While you will remain fully clothed for most of your consult, your cosmetic surgeon needs to perform a physical exam at some point so they can understand your specific anatomy and make appropriate recommendations. A nurse will also be present to help you feel as comfortable as possible. Thus, the first rule in dressing for a breast augmentation consultation is to choose an outfit in which you feel totally comfortable. Wearing clothes you feel at home in can help you feel more at ease. Your choice of outfit ideally shouldn’t impede your physical examination; it can help to choose an outfit with a separate top and bottom vs a dress or jumpsuit. That being said, if a certain outfit will help you explain your goals, feel free to dress accordingly. (I often hear from patients that they want to fill out a particular style better, for instance.) Whatever you choose to wear, you’ll be given a medical gown to change into for the exam. What questions should I ask during a breast augmentation consult? Your consultation is an opportunity to get to know your surgeon and his staff, as well as take advantage of getting expert insight into the realities of breast augmentation. Before your appointment, jot down questions—big or small, nothing is off limits!—you have about the procedure, your unique circumstances or concerns, or what the experience will be like. What are your credentials? Are you board certified by the American Board of Cosmetic Surgery? Will my procedure be performed in an accredited surgical facility? Who will be administering my anesthesia? Who will be assisting you in the OR? What are the pros and cons of different implant styles? Can I see before and after pictures of patients with similar concerns and goals to mine? What will happen on surgery day? Are there any medications or supplements I should avoid before and after surgery? When can I drive? Shower? Pick up my kids? Work out? This consultation checklist from the American Board of Cosmetic Surgery is a fantastic resource—it can help you remember which questions to ask during your consult so all of your bases are covered and help you keep track of how you felt during multiple consults if you are comparing surgeons. Should I go to my breast augmentation consultation alone? Ultimately, this decision is up to you. Many of my patients are comforted by the presence of a partner, friend, or loved one, who can also serve to help you remember what questions you wanted to ask. If this person also happens to be the one who will be helping you the first few days after surgery, they can also ask any questions they may have about how best to assist you as you recover. Alternatively, the personal nature of a breast augmentation consultation and examination means that you may prefer to come alone. Whether you’re flying solo or bring support, my staff and I will make sure you are as comfortable as possible during your visit. The big day has arrived! Whether you’re nervous, excited, or some combination of both, you’re one step closer to your goals. Who will I meet at my consultation? At our Little Rock Cosmetic Surgery Center, you’ll be greeted by our friendly support staff on arrival. They’ll sign you in, work with you on patient forms, and make sure you’re comfortable as you wait for your appointment. Next, many practices will have a patient care coordinator show you around the office, gather initial information from you, and introduce you to the surgeon. At other practices, this role is fulfilled by a nurse. Now it’s time to meet with your cosmetic surgeon. We’ll talk about your main concerns, what you hope to see in the mirror after surgery, and any worries or special considerations you have. After the physical examination, I’ll start formulating a customized surgical plan and work closely with you to determine which options and techniques will give you results you’ll love. You’ll also get to do fun stuff, such as trying on breast implant sizers and feeling different types of implants. How many consultations before breast augmentation? Many of our patients are excited to move forward after their first consultation, but it’s not abnormal if you feel like you need more time or information. I spend as much time as I can with patients during that first consultation to make sure they leave feeling well-informed and comfortable, but understand that the experience can be overwhelming. That’s why my team and I are happy to answer any follow-up questions you have by phone or schedule a second in-person consultation appointment if you like. If you are consulting with a surgeon you’re not sure is a good fit for you, spend time consulting with other cosmetic surgeons until you find the right match. Not only is it crucial to your health, safety, and the quality of your results that you work with a surgeon who is experienced and well-qualified, it’s also important that you feel comfortable with your cosmetic surgeon and his team. Once you choose a surgeon and schedule surgery, expect to have an additional pre-operative appointment. This allows for ensuring we are in agreement on the surgical plan, your health information is current and accurate, and you and your caregiver are well-prepared prior to going into surgery. After you’ve met with your cosmetic surgeon, you’ll spend some time with a patient coordinator so you can move forward. Do I have to schedule surgery at my consultation? While it’s common for a consultation to end with a scheduled surgery time, it is absolutely not required. Don’t ever feel pressured to schedule surgery! Many patients prefer to go home and think things over, even if they liked the surgeon and staff. You also may find that, after getting all of the details, you simply aren’t ready for surgery, you need time to budget, or you want to speak with people you trust before finalizing your decision. It’s normal for the total fee you were quoted to have an expiration, as prices for specifics do change over time. If a period of time passed between your consultation and surgery, you may need to have another consultation or receive an updated quote. How long between breast augmentation consultation & surgery? This depends on a number of factors, including your cosmetic surgeon’s surgical calendar and your own personal schedule. Depending on the time of year, we are often able to schedule surgery within a few weeks of your consultation. Because breast augmentation will require you to take a few days off of work and rest, you may need to plan your procedure around when you are able to take PTO, the availability of your chosen designated driver, or when you’ll have extra help with the kids, for example. If you feel ready to move forward after meeting with the surgeon, your patient coordinator will work with you to find a surgery date that works for you. The price of breast augmentation begins at $3,900 for saline breast implants and $4,900 for silicone, though your exact total fee will depend on your recommended surgical plan. A fee quote will be prepared and provided to you at the end of your consultation, which will include breast implants, any necessary medical supplies and bandaging, operating room costs, surgeon’s fee, and pre- and post-op appointments. It’s normal for a down payment to be due at the point of scheduling your procedure, though how much will vary depending on the practice’s policy. Reserving the operating facility and specialized support staff time has a cost, hence the typical deposit requirement for scheduling surgery with any qualified cosmetic surgeon and operating facility. This portion of your final fee secures your surgery date and goes toward your final cost. If you’re looking to save but want to be sure you’re with a top-notch surgeon, ask your doctor or patient coordinator if there are times of year when there is less demand and savings may be available. Many cosmetic surgeons also run promotions which discount breast augmentation. Here at Cosmetic Surgery Center, we periodically have Little Rock breast augmentation specials that can help make budgeting for the procedure easier—be sure to sign up for our email newsletter or check our specials page monthly. Can you finance breast augmentation? Yes! There are a number of third-party financing companies that specifically offer financing for cosmetic surgery procedures with reasonable monthly payments. We work with CareCredit® and Advance Care for breast augmentation financing, and our team can help you apply—our patients often receive an answer within just a few minutes. Now that you’re feeling more prepared for your breast augmentation consultation, I encourage you to contact my office to book your free appointment. I can’t wait to meet you!